From time to time EHWB, LLC will provide advertising, sponsored post opportunities, links or information about products or services which have been provided in return for a fee. We do not provide paid tweets or paid reviews. It should be assumed that all links are monetized. The views expressed by guest writers, ghost writers and sponsored post authors are not necessarily the views of EHWB, LLC or its President, Shane Shirley-Smith. This blog is a sponsored blog created or supported by Environmental Health-Wellness-Beauty,LLC/EnvironmentalBooty.com. For questions about this blog, please contact Shane Shirley. This blog accepts forms of cash advertising, sponsorship, paid insertions or other forms of compensation. 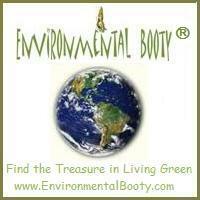 EHWB,LLC is a Founding Trust Member in the Green Polka Dot Box. EHWB,LLC is compensated to provide opinion on products, services, websites and various other topics. Even though EHWB,LLC receives compensation for our posts or advertisements, we always give our honest opinions, findings, beliefs, or experiences on those topics or products. The views and opinions expressed on this blog are purely the bloggers' own. Any product claim, statistic, quote or other representation about a product or service should be verified with the manufacturer, provider or party in question. Shane Shirley works for SBS Brands. The postings on this site are her own and don't necessarily represent SBS Brands’ positions, strategies, or opinions. We value your privacy. EHWB,LLC and our subsidiary, Environmental Booty, will never give or sell your e-mail address or personal information to anyone.